If you read my list from yesterday, you know that Pumpkin Spice Lattes (or PSLs) are one of my most favorite things about this time of year. So I made a pennant embroidery pattern for them! Go PSL! Go PSL! Appropriately, I also used the Pumpkin Spice Latte color palette that I picked out last year. It works quite well for this, don't you think? 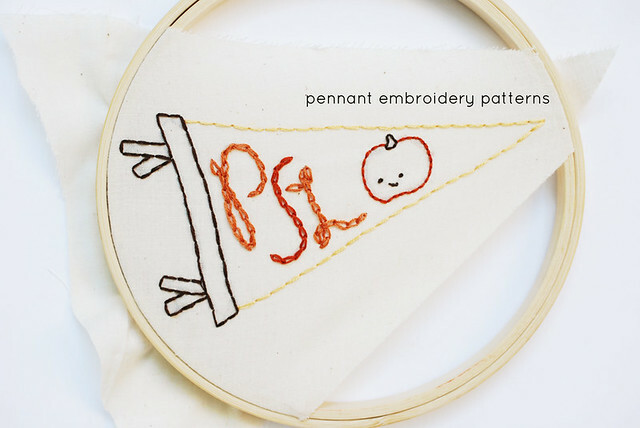 You can grab the pattern for the PSL pennant, plus my GO NUTS! acorn pennant by downloading the PDF. 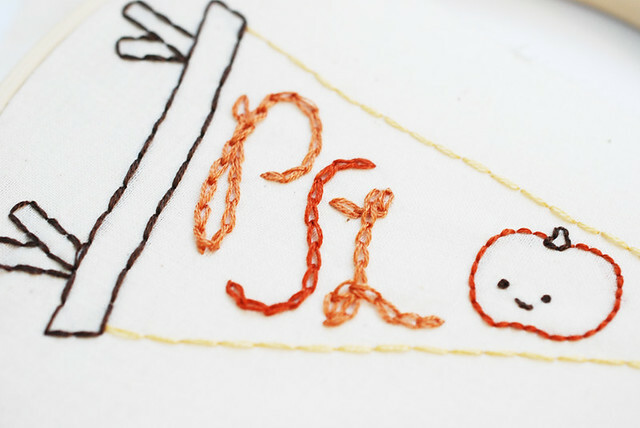 Happy Autumn Stitching! Adorable...gotta love the pumpkin goodness. Molly...you are too cute! I thought I had an abnormal love of the PSL, but you and my Face Book friends have proven that I am really not alone. I love PSLs and the pumpkin bagels with pumpkin cream cheese at Einstein Bagels with their Autumn Roast coffee! I'm in Florida, we don't have seasons per se, but I get really excited at this time of year with all the wonderful fall flavors out there that tell me it's fall! YAY PSL!! !